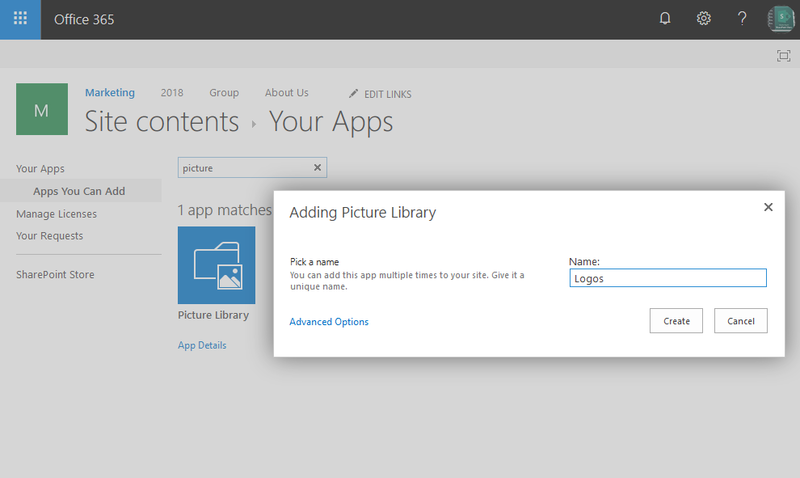 How to add picture library in SharePoint Online? Navigate to the SharePoint site where you want to create the picture library. On the Your Apps page, Scroll down and select "Picture Library" icon. You can use search box as well. In the New dialog box, type a name for the library and Click Create. $LibraryDescription ="Library to store all Logos of the Company"
Write-host -f Green "Picture Library '$LibraryName' Created Successfully!"